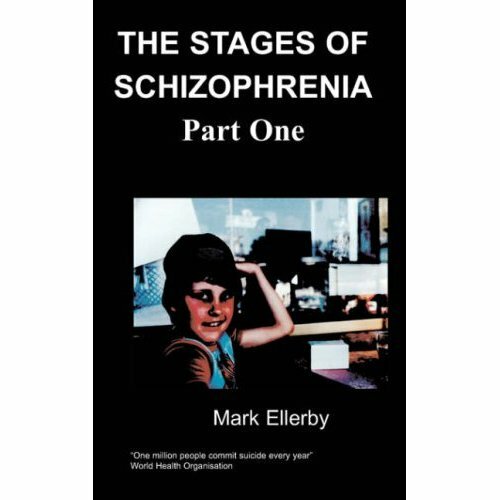 After completing his experience of Schizophrenia Talmadge turns his attention to writing a scientific account about Schizophrenia in a basic language, to enable the reader to develop an understanding of this much misunderstood illness. Over 8000 people have all ready read this easily digested account and from the letter of appreciations received, he feels it is high time that it was published to meet a wider audience. 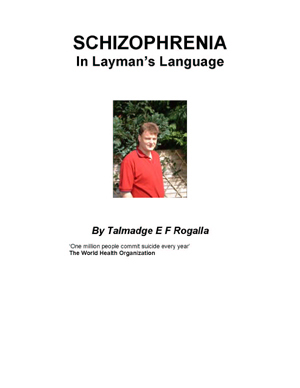 Schizophrenia in Layman's Language is a booklet written in plain English. It helps the reader to quickly grasp the details, symptoms and psychological processes involved with those who suffer from Schizophrenia. The author is all ready the writer of a well received book titled Delusions of Grandeur, which details his voyage through the experience of Schizophrenia. Talmadge spent half his childhood in Germany before his family moved to Devon in England. Although his father was an East Prussian German and his mother is English, his surname is Lithuanian. From an early age Talmadge showed high expectations in the field of science and has studied this to university level. He also holds a diploma in German. He has run his own business as an ornamental gardener and book keeper and is one third of the way through his new book that sequels Delusion of Grandeur. Talmadge enjoys painting and decorating, poetry, collecting oil paintings and of course his life long hobby of writing. This is a definitive account of the illness schizophrenia, which is written in layman’s language. This book was composed in order to remove the stigma surrounding this mental illness. 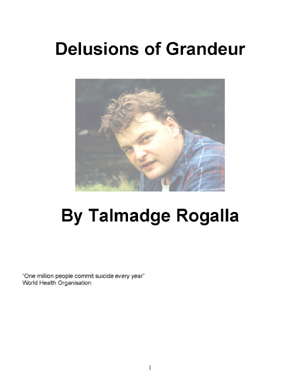 If you have read my other book “Delusions of Grandeur” you may be intrigued to find out all the facts concerning schizophrenia. This book was written for the sufferer, his family and friends in mind. I hope that you will grasp the unique nature of this chemical imbalance of the brain. This book is written in plain English. It is a starting point into schizophrenia’s intricate nature and may have to be read several times in order to embed the information. I hope in reading this book, you will cope so much better in the firm knowledge that you are not alone. I like to add that I am not a qualified Physician but have over twenty year’s experience of schizophrenia. My father suffered from various strands of mental illness and it is my opinion that schizophrenia, depression and manic depression have a transient nature. It has been found that similar chemicals are at play in these illnesses and they overlap. You may suffer from a psychosis of either of the above mentioned illnesses. I had a depressive breakdown followed by a manic depressive breakdown followed by a schizophrenic breakdown. It could be that they are all expressions of the same cause and that one illness may transform into another, hence being transient. In no way does this book replace the treatment of a qualified physician. This book is just the beginning of research for anybody who has the illness. It is the first step on the rung in developing an insight into your illness. The account is permeated by my own experience and I hope you like the personal touch. I know through experience that you will lead a higher quality of life through insight. This book concerns the mental illness schizophrenia. I have suffered from schizophrenia for about eleven years. In that time I have gained a lot of experience and knowledge about this disease, which I am hoping to share with you in layman's terms. Several years ago my CPN (Community Psychiatric Nurse) discharged me from his care and made me responsible for my own health. This is because I had such a tremendous insight into the disease he felt he could trust me to look after myself and see to it that I get my medication regularly. 1 in a 100 suffer from Schizophrenia in their Lifetime I think it is very important that a patient, like myself, who suffers from schizophrenia help fellow sufferers and their families come to terms with the illness. I hope too, that the reader will gain insight into the disease and use the knowledge in this book in effectively combating it. About 1% (1 in a 100) of any given population in any country suffers from Schizophrenia in their lifetime. Let us say that Britain had a population of 60 million. So divide by hundred and we find that Britain will have a population amounting 600,000 who suffered from schizophrenia and those who still do. You are not alone!